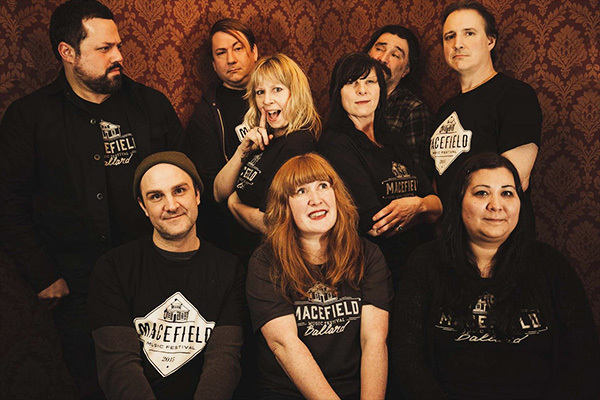 The Macefield Music Fest team. The once-sleepy Seattle neighborhood of Ballard, just northwest of Lake Union, was for decades a gritty, dive-bar dotted fisherman’s village. Neko Case worked in one of those dives, in the kitchen of a local hangout called Hattie’s Hat. (Around the same time, during a secret Whiskeytown show, an over sauced Ryan Adams took a famous tumble from one of its barstools.) Folklore has it there once was an ordinance requiring “a bar for every church.” It’s a part of the city rife with salty stories and hometown heroes. One of the best examples is Edith Macefield, the widely-celebrated real estate holdout who refused to sell the small cottage where she lived for over fifty years to developers, who offered her nearly a million dollars for the place. After she refused multiple deals, a large retail complex that now houses an L.A. Fitness, Ross Dress for Less, and Trader Joes was built, much to the builder’s chagrin, awkwardly around her small cottage. In 2008, Macefield died in that house, as her mother had, over twenty years before. But her small act of defiance—swirled with rumors and the mystery of her own life—did not go unnoticed. Publicists from the Pixar movie Up tied balloons around the property, promoting the film while putting Macefield in the spotlight. A handful of area residents had “the house” tattooed on their bodies. In the city and beyond, countless stories were written about the little old lady who refused to sell. After she passed away, Macefield, who played the saxophone and claimed Benny Goodman was her cousin, became the inspiration for the Macefield Music Festival. 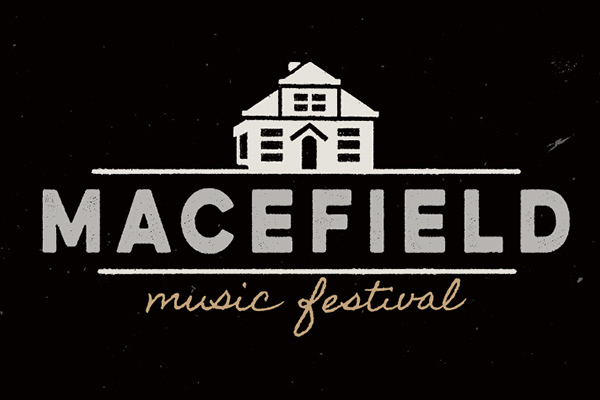 The Macefield Music Fest logo, with Edit Macefield’s house. “We really loved the story, and how steadfast she was,” says festival co-founder and local music promoter Michael Stephens, who was priced out of the neighborhood but still “considers Ballard home.” She was one of the first to get the house tattoo. 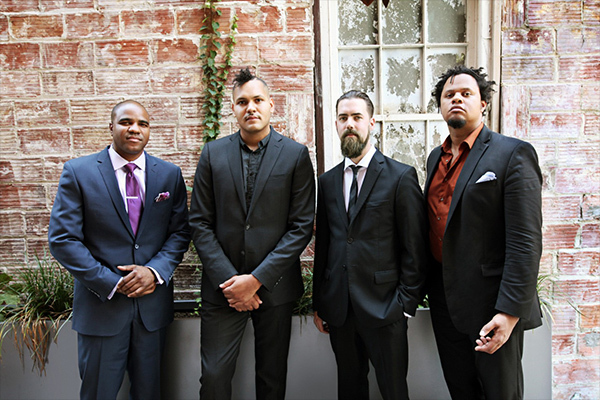 D’Vonne Lewis is the drummer and founder of modern jazz ensemble Industrial Revelation, and played at the 4th annual Macefield Festival this year. He comes from a family with a deep musical heritage in Seattle, where he’s lived all his life. Back then, he says, rattling off some of the city’s music royalty, Seattle “always seemed like a party town. You think about when Ray Charles and [artists like Quincy Jones], and my grandfather, they had [the famous jazz scene of] Jackson Street and all you heard about was music and parties. And then to the ’90s and Kurt Cobain and the OK Hotel, they were just partying and having music. Jimi Hendrix, you know? Recent “karmic infraction” notices, posted to several new businesses in the Central District citing “being an unapologetic gentrifier,” “unchecked white/class privilege,” “destroying Black and Brown communities,” and “making mortgages/rent unaffordable”—the protest flyers of local artists Emnet Getahun and Yeni Lopez Sleidi—add further ballast to the heated issue. 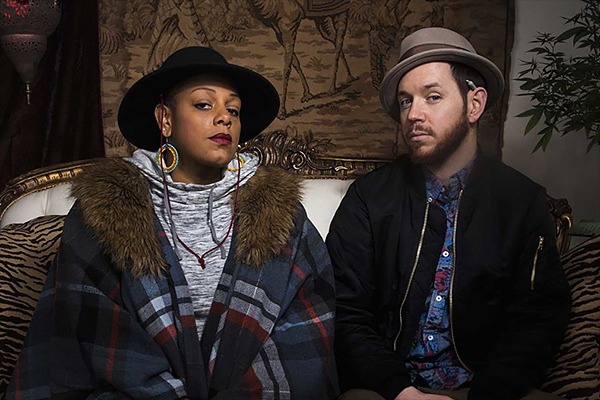 “The fact that someone is like, yellow flagging [the area] and putting citations up; it’s funny, but it’s like, that’s what you get, what you deserve,” says Adra, vocalist of the soul/funk duo Fly Moon Royalty she shares with producer Mike Illvester. The singer was born and raised in Seattle, has roots in the Central District, and also played Macefield this year. What’s more, she says, she knows a lot of people who have been victimized by crimes of bias. 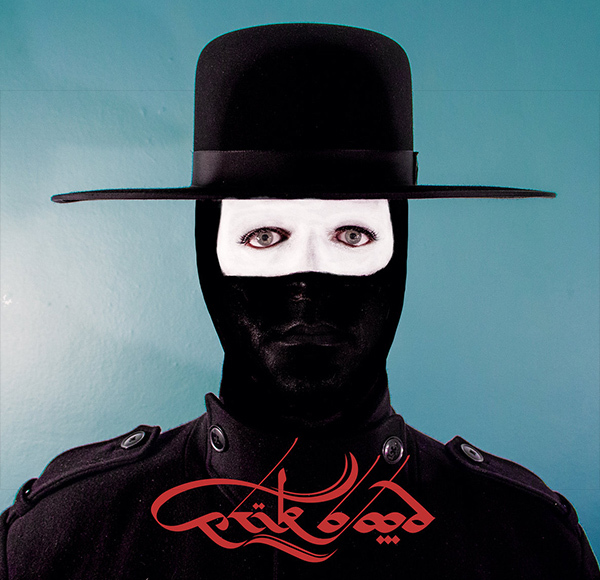 This entry was written by Editorial, posted on October 13, 2016 at 6:45 am, filed under featured music and tagged feature, Fly Moon Royalty, Industrial Revelation, Jazz, Macefield Festival, Seattle, Soul. Bookmark the permalink. Follow any comments here with the RSS feed for this post. Post a comment or leave a trackback: Trackback URL.